SKU: books-1140. Category: Architecture, Cultural heritage, Photo and art albums. 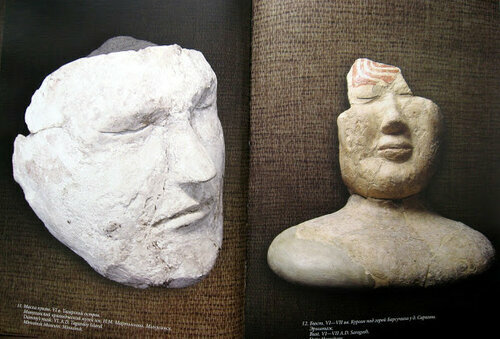 Ancient masks of the Yenisei – an unusual publication. 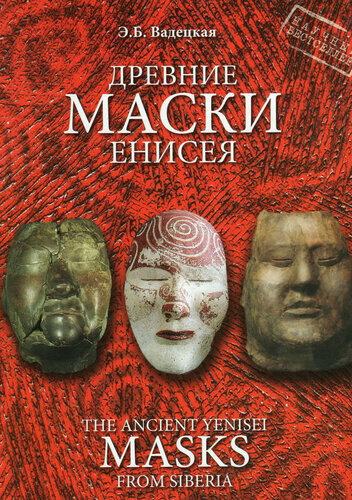 It combines a popular essay on the history of Siberia’s archeology with concrete studies of one of the most interesting materials of Russian archeology: the funerary masks of ancient Yenisei. 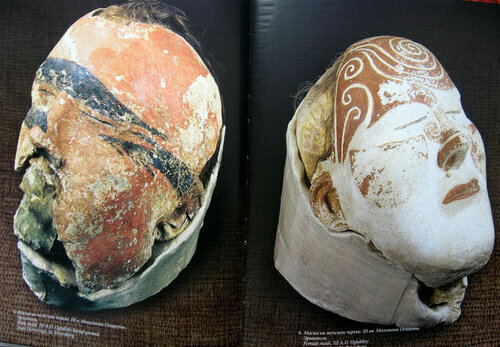 On the pages of this book, these masks are first collected together and described as a holistic phenomenon standing alongside such monuments of the history of world culture as the statues of the Easter Island or the pyramids of Central America. 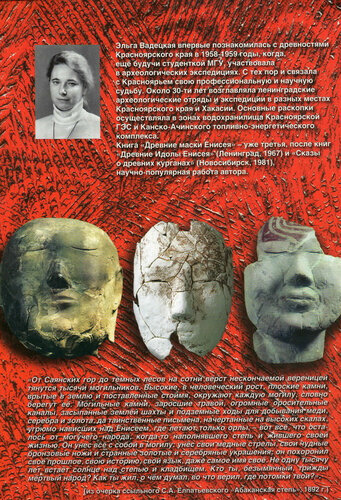 Yielding to the latter in monumentality, Siberian masks are not inferior to them in the richness of the mysteries of ancient history, riddles of mythological semantics. The book contains a huge illustrative material from the personal archive of the author. Much to this day has never been published. Archaeologist E.B. Vadetsky is the author of more than one hundred and fifty scientific articles and five monographs that have become a bibliographic rarity. Each of her new books is an event. With her “archaeological shovel” she seems to leaf through the life chronicles of the generations that once lived in the valleys of the Yenisei and Chulym.